The Gym Group chain of no-frills fitness clubs has rolled out Workday finance and human resources systems with cloud-based services to support ambitious plans for growth. The company has become one of the UK's fastest growing health and fitness companies by offering a low-cost no-contract alternative to the notoriously pricey gym memberships found in big-name health clubs. In 2017, the number of Gym Group sites had risen by 40 percent to more than 140 gyms. To support further expansion, the company wanted core business systems that could help the firm stay agile and deliver on its fast-growth strategy. The Gym Group was using Sage200 accounting software and needed a more expansive tool with enhanced data analysis capabilities. "Our current finance platforms were going to restrain our business strategy," Emma Castledine, head of reporting at the Gym Group, explained at the Workday Rising conference in Vienna last week. "We needed something not only suitable for our business today, but something that would also be suitable in five years-plus." Another issue was that the company was using several different systems that were creating data chaos. The Gym Group realised that the biggest benefits would come from integrating the data and systems used by both HR and finance in a single cloud service, so decided to also replace its iTrent payroll and HR software. In their place came Workday Human Capital Management and Workday Financial Management. The new software provides a single user experience, security model and business process in the same cloud service. The consistency helped the Gym Group cut the time that was spent managing processes and freed up resources to focus on adding value and driving business growth. "We want to be high growth in the future, but also we're a business that executes change very rapidly as well, so we needed a software product that allowed us as a business to change direction and do what we want it to do as rapidly and as flexibly as we want it to," said Castledine. 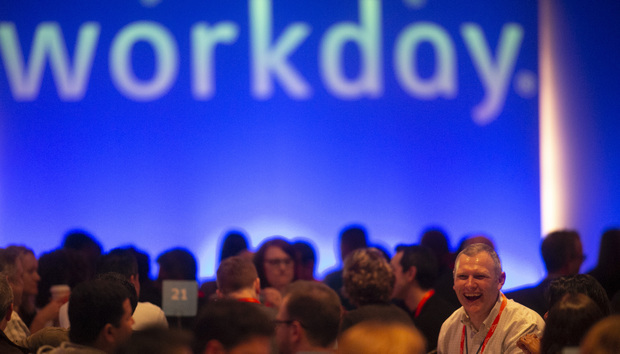 "That kind of principle is at the core of what we do at The Gym Group, and we found that those principles were really reflected beautifully in Workday, so it made for a really great partnership." Castledine investigated Gartner's Magic Quadrant for Cloud HCM Suites before plumping for Workday. Workday stood out for its agility and ability to analyse data from multiple sources, making it the best fit for the Gym Group's strategy for fast growth. The company worked with Deloitte to implement the software using an agile methodology, which allowed the company to quickly tailor business processes to their needs across a series of sprints. The implementation began in early January 2018 and went live across the UK in mid-July, ahead of schedule. The system is user-friendly enough to be managed by a finance systems manager and a human resource information systems analyst, while managed service provider assists them with any new integrations. "Workday speaks to the CFO as a special type of user," said Castledine. "It gives them the ability to have a product they can control and change easily, which is incredibly important if you're a fast-moving business." The biggest benefit of Workday has been the ability to generate high-quality insights from integrated datasets. The fitness industry is renowned for high employee turnover rates and regular movements of staff to different internal teams. This can make it challenging to generate quality reports on staff that combine HR and finance data if the two systems have separate security models that struggle to adapt to the changes. Introducing Workday removed this issue, as the software offers shared security models for both HR and finance. The Gym Group used this to create a dashboard that allows managers to analyse and model their team's expenses. Workday also enabled integration with Clubware, the Gym Group's member management system. Clubware captures detailed information about members and how they use the gyms, but this was previously isolated from the financial and revenue data, which limited the quality of data analysis. Now the company uses Workday Studio to analyse the data from the different applications together. "We constructed an integration to bring information together from both our direct debit collection agency and then also from our member management system," said Castledine. "What that means is now, using the power of Workday, we're able to tell on a member by member basis, precisely what our revenue is, down to the individual person. "We could always tell what revenue was by gym, but now we can do it by gym, by product type, by price point, and by individual member, and the power of that information when we come to use for commercial decision-making will be fantastic."